Show your support for the legendary and incomparably strong leather gun belt series with a 50 cent sticker or two from Bigfoot Gun Belts! 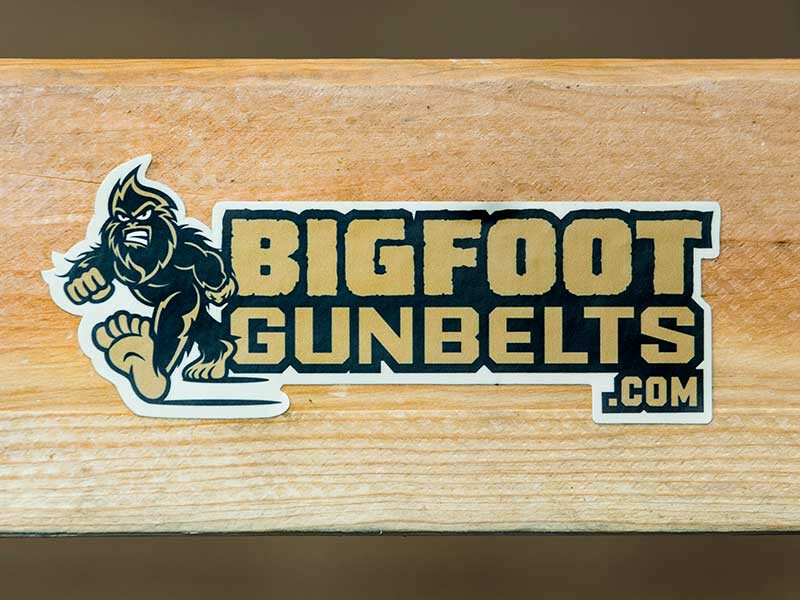 These weather-resistant 5”x2” gun belt stickers feature the rough and rugged Bigfoot logo—an image that will captive all those stuck behind you in traffic. Give your buddies or complete strangers something to look at whenever you’re around, and let them know just how beastly your gun belt truly is! They need to know about the legendary leather you wear on a daily basis. Do them the honor and throw them a sticker, too! Speaking of new offerings from the burliest gun belt company this side of the Mississippi, Bigfoot Gun Belts just launched a new flat black hardware series! Have the option to swap out your standard steel roller buckle with a set of blackout hardware. This new color option will be sure to add a nice tactical feel to your steel-reinforced leather gun belt—guaranteed. And if you’d rather swap out our roller buckles for your own, go for it! As long as it can fit into the 1.5” wide binding, chances are your buckle will be compatible with our handmade leather gun belts. If you’re not yet an owner of a Bigfoot Gun Belt, prepare to conceal the strength of steel! Our leather gun belts are built to eliminate that unsightly sag you may have seen or felt with lesser gun belts. While the majority of belts bend and fold under the weight of a handgun, our gun belts will stay straighter than an arrow day in and day out. 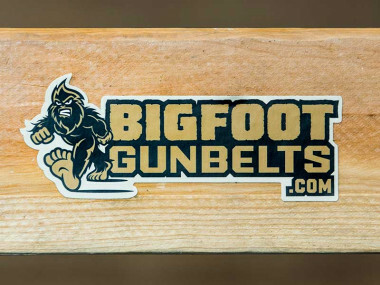 We guarantee your full satisfaction with every Bigfoot Gun Belt purchase. If you’re not completely impressed by the fierce fortitude of your handmade leather gun belt, send it back within the first seven days for a refund.